Volkswagen India has imported a 2015 version of the Jetta D-Segment sedan for homologation purposes from Mexico. 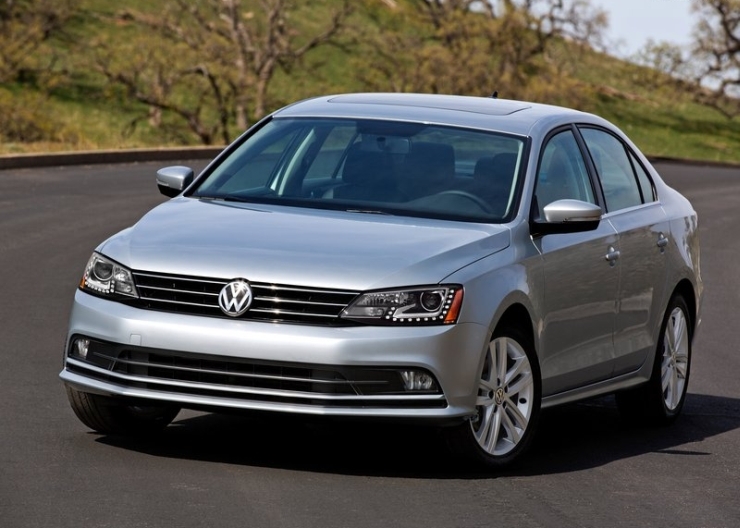 A diesel variant of the 2015 Jetta has been imported and an official launch is expected to happen later this year. 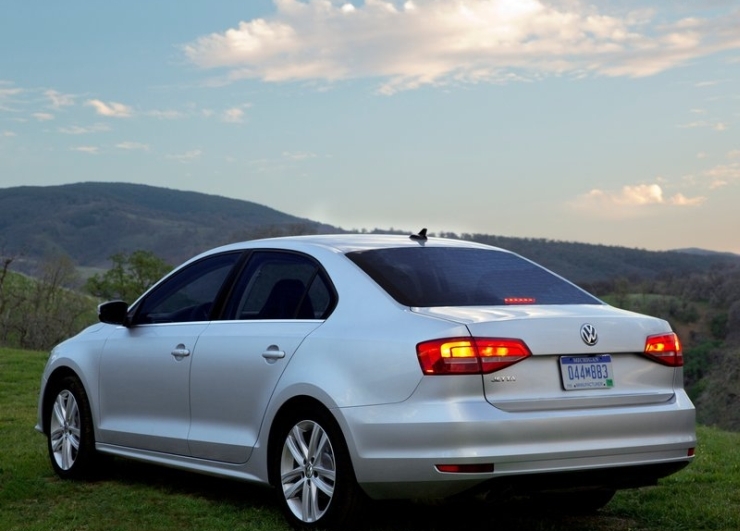 Volkswagen recently updated the Jetta sedan with revised styling cues inspired by the Passat, and also a new range of turbo petrol and turbo diesel engine designed to run with the MQB platform of cars. However, the 2015 Passat continues to use the Volkswagen group’s PQ35 platform. The next-generation Jetta will hop onto the MQB platform. The new bits on the 2015 Jetta’s styling include revised headlamps with DRLs, a new grille up front, duck tail spoiler for the redesigned boot lid, and revised front and rear bumpers. 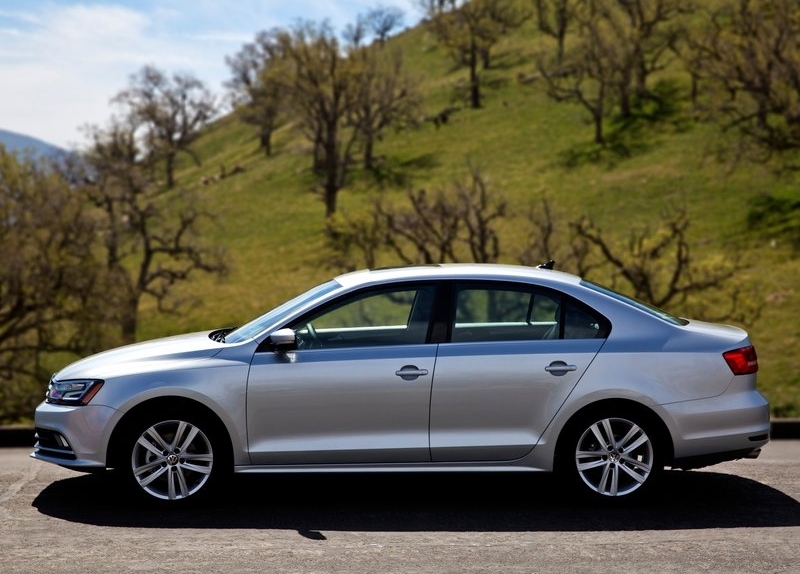 The 2015 Jetta Facelift is more aerodynamic than the outgoing model, with redesigned rain gutters and a grille that can open and close depending on aerodynamic needs. The car also gets stylistic changes on the dashboard including a piano black finish for the center console and chrome detailing around the instrumentation console while the seats gets re-upholstered with revised fabric options to choose from. For the Indian car market, the 1.4 liter TSI turbo petrol and 2 liter TDI turbo diesel engines are expected to be retained, with the turbo diesel engine making more power than before. The 2 liter TDI motor will output 150 Bhp, up from 140 Bhp, even as the peak torque of 320 Nm remains unchanged. The Jetta will be sold with a 6 speed manual gearbox option as standard with the diesel motor also getting a 6 speed dual clutch DSG automatic transmission. In India, the Jetta rubs shoulders with the likes of the Skoda Octavia, Hyundai Elantra, Chevrolet Cruze and the Toyota Corolla Altis. The car is assembled at Skoda India’s Aurangabad factory through the completely knocked down (CKD) kit route.